Darwin noted that there was little flora and said he “did not see one beautiful flower”. The iguanas were described as “most disgusting reptiles”. However tortoises did not receive the same criticism and the crew were rather taken with these giant animals. Much to Darwin’s amusement he frequently got on the tortoises back and “then giving a few raps on the hinder part they would rise and walk away”, but he said it was difficult to keep balance. Darwin was always keen to try new food and was quite taken with the taste of tortoise. The crew of the HMS Beagle captured 48 tortoises plus two small tortoises that were eaten on the journey home. 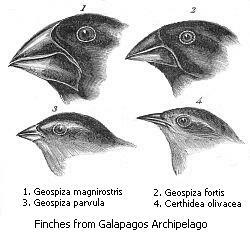 It was Darwin’s collections of Geospizinae, known as Darwin’s finches, which were the most influential. The size and shape of the beak were seen as distinguishing features. 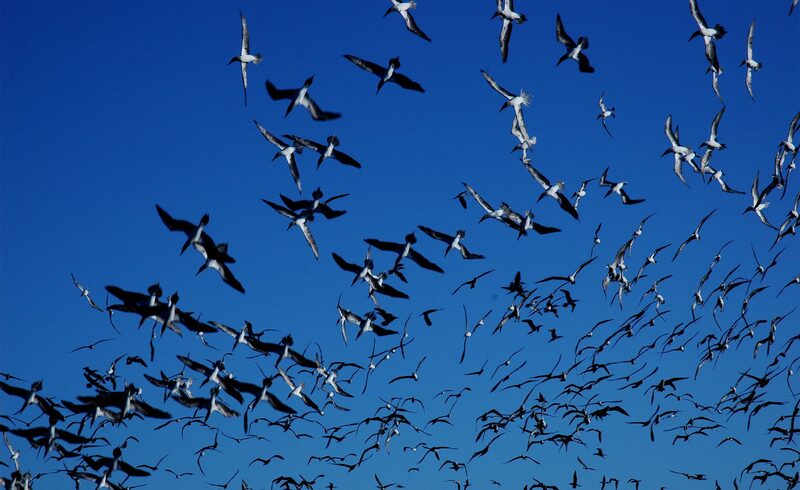 The Geospizinae beaks were adapted to the different environments they lived in. It was only in retrospect that Darwin realised the significance of his discoveries. In 1839, Darwin started to explore the idea that different beaks indicated which island the bird was from. A tentative start on what would become his theory on natural selection. However, FitzRoy did not share Darwin’s view as he was very religious. In 1859, Darwin’s book ‘The Origin of Species’ was published. The book was radical for its time as it challenged popular notions of divine creation. Darwin’s concepts of ‘natural selection’ opened the way for more scientific breakthroughs and new understandings of the natural world. It was published at a time when other aspects of the natural world were also being explored, such as astronomy and geology. These showed that the world was much older than suggested by the Bible and that the Universe was much larger so the place of humans in the cosmos was very different from that projected by the established religions. Darwin’s work on evolution led to further research, which underpins the modern sciences of ecology, biology, genetics and psychology.